When research scientist Anna discovers the missing formula that could save her sister’s life, she becomes the secret weapon everyone wants. 1940- When the beautiful research scientist Anna discovers the formula that could save her sister’s life, she vows to keep it out of the wrong hands. But when The Nazi’s begin their invasion of Europe, she becomes the secret weapon everyone wants. www.annassecretlegacynovel.com for more information on how to order the book! Great holiday gift! 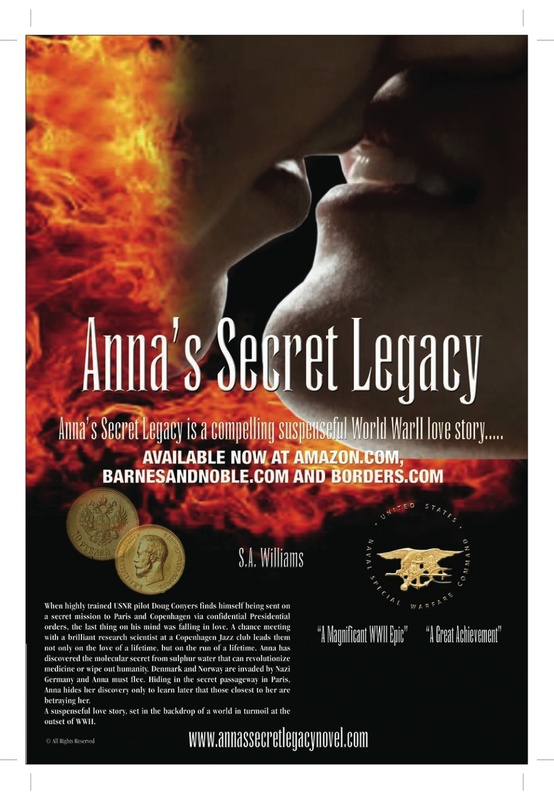 This entry was posted in Anna's Secret Legacy, Anna's Secret Legacy Blog, Annas secret legacy novel, Borders, Scientific Discovery, World War II. Bookmark the permalink.